Another state will likely soon move one step closer to legitimizing the decades of scientific research behind the medical use of cannabis. House Bill 885, also known as Haleigh’s Hope Act, would revive a 30 year-old medical marijuana law in Georgia that was never fully enacted. HB 885 passed the House Health Committee with a unanimous on Wednesday and is expected to receive a warm welcome in the full House. In 1982 Georgia passed one of the nation’s first medical marijuana laws, a law that required the approval of a medical review board that was never convened. The law was originally intended to relieve the suffering of cancer and glaucoma patients. Rather than replace the original Georgia medical marijuana law, HB 885 instead modifies the original law by turning it into a research program that will be run by Georgia universities. In addition, the new bill will expand the medical conditions that are approved for medical marijuana use by adding seizure disorders. Establishes a state-sponsored program for the investigational use of cannabis and its derivatives. Cancer patients who have had adverse reactions to chemotherapy or radiation. Glaucoma patients who do not respond to treatment by “conventional controlled substances”. 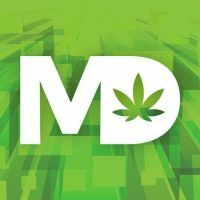 Patients will receive their medical marijuana from academic medical centers who agree to conduct clinical trials. Medical marijuana would not be dispensed in smokeable form. Patients would instead be given drops or pills that have high concentrations of Cannabidiol (CBD), one of at least 60 cannabinoids that are present in cannabis. Georgia medical marijuana would either be grown by (and obtained from) the University of Mississippi’s medical marijuana program, or by the academic medical centers themselves. After testing by the academic medical center, medical marijuana would be turned over to the Georgia Drugs and Narcotics Agency, to be distributed back to the University as-needed. Many are questioning the feasibility of assigning the task of growing marijuana to academic institutions in Georgia. Whether growing marijuana, which is against federal law, would endanger federal funding for these institutions is anyone’s guess, and so far none of Georgia’s academic hospitals have committed to joining the program. Under the proposed bill, which is expected to pass both the Senate and the Governor’s desk, only five universities would be eligible to apply for participation in Georgia’s medical marijuana program. Those are Georgia Regents University, the University of Georgia, Emory University, Mercer University and Morehouse College.